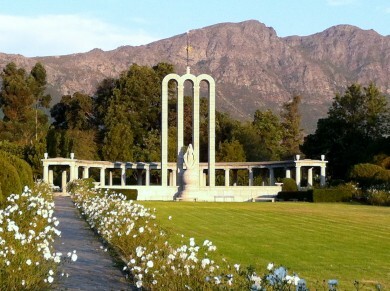 THE ANTIQUARIAN | The quaint South African town of Franschhoek celebrates Bastille Day in mid July. 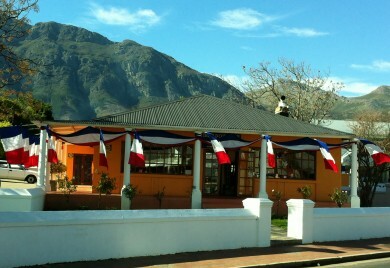 If you happen to drive into the picturesque town of Franschhoek in mid July you cannot help but notice that the town is getting ready to celebrate Bastille Day. So called, it is the celebration of the French National day and has its roots in the storming of the Bastille in Paris on 14 July 1789. According to Wikipedia, Bastille Day commemorates the Fête de la Fédération of the 14 July 1790 which was a huge feast held to celebrate the establishment of the short-lived constitutional monarchy in France and what people of the time considered to be the happy conclusion of the French Revolution. 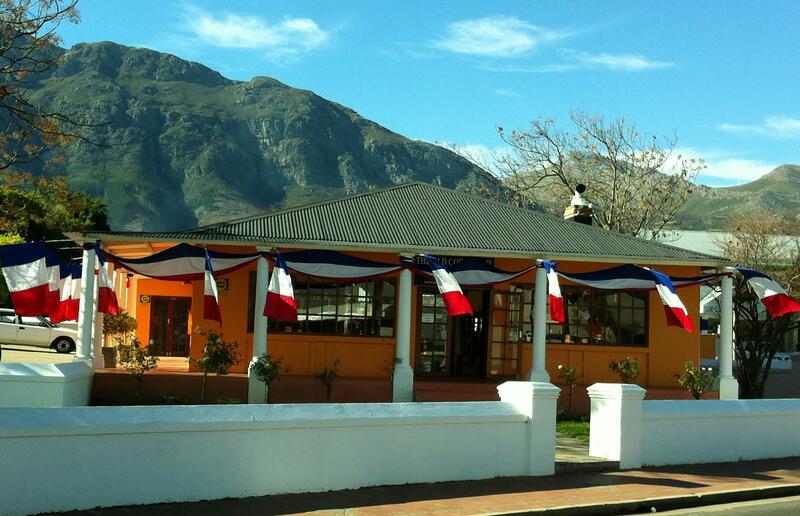 As a Franschhoek resident I am always fascinated to see how the town is transformed into a blaze of blue, white and red, the colours of the French flag known as the Tricolour. Not only do we get all dressed up, our shops, homes and even the trees are decked out. More importantly it is where we celebrate our French Huguenot heritage in true French style with delicious food and wine. In fact here I practice the art of becoming a gastronome. The opportunity of tasting the very best in food presented by the various restaurants together with the latest offerings by our talented wine makers makes for a very rewarding experience. Some of the highlights of the weekend are the Bastille Solms-Delta Minstrel’s Parade through the town, the Franschhoek SPCA Boules Tournament, the Barrel Rolling Competition and the Waiter’s Race. What really strikes one is how this event which is held in the middle of our winter when traditionally tourism is at its lowest ebb has become a major draw card for our locals. It is the melting pot of culture where marimba bands on one street corner compete with the local Xhosa choirs and dancing groups on another while the various ‘Kaapse Klopse’ in their traditional outfits provide a colourful spectacle that is always highly entertaining. It is events such as this which are the unsung indicators that South Africa is growing into a new nation where all people regardless of race, culture and language are finding what all people have in common- good food and a celebration of life. These cultural melting pots two hundred years after the French revolution are an integral process of forging a new reality, and the feeling of goodwill and camaraderie they create is what the new South Africa is all about.